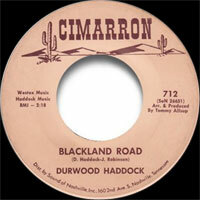 Chanteur Country US né Durwood Martin Haddock, le 16 Août 1934 à Lamasco (Texas). 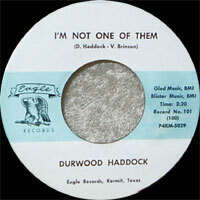 Durwood Haddock a débuté en 1954 et a attendu plus de 40 ans avant de sortir son premier album. 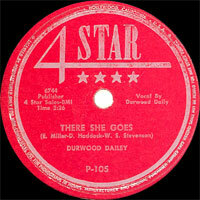 Ses premiers singles sont sortis sous différents noms : Durwood Dailey, Durwood Daly et Durwood Daily. 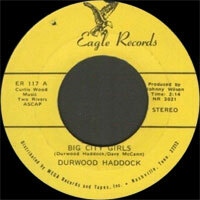 Durwood Haddock has enjoyed his greatest success as a songwriter, having penned the country classic "There She Goes" with Eddie Miller, which has been recorded by Patsy Cline, Loretta Lynn, Ernest Tubb, Carl Smith, K.D. Lang, and many others. But over the course of a half-century in the music business, Haddock has also distinguished himself as a singer, instrumentalist, radio personality, booking agent, and publisher. Born in Lamasco, TX, August 16, 1934, Haddock developed a passion for music as a boy, and he became proficient on the guitar, fiddle, and mandolin in his teens. After graduating from high school, Haddock enrolled in Tyler Commercial College in Tyler, TX, where he studied broadcasting, and in 1953 he took the first of many jobs in radio at KSEY in Seymour, TX. After leaving KSEY, Haddock formed his first band and in 1954 landed a paying gig playing fiddle behind West Texas honky tonk man Tiny Colbert. While playing with Colbert, Haddock met Miller, and together they landed a short-lived radio show and started writing songs together, scoring a hit with "Release Me" when it was cut by Jimmy Heap and landed in the country & western Top Ten. 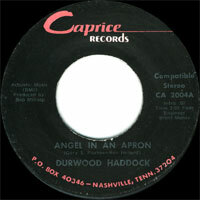 Haddock made his recording debut in 1955, when he recorded "There She Goes" for Four Star Records under the name Durwood Daily; the single didn't sell, but after Carl Smith recorded it, it hit the charts and became a country perennial. After bouncing from town to town for several years, Haddock settled in Kermit, TX, in 1957, working at radio station KERB as a DJ, ad salesman, and assistant manager. 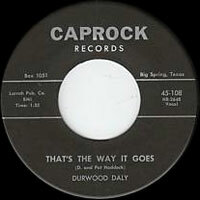 Haddock continued playing his music at nightclubs and recorded for a variety of small labels in Texas as Durwood Daily until 1962, when he was signed to United Artists Records and scored a Top 20 country hit under his real name with "Big Night at My House." 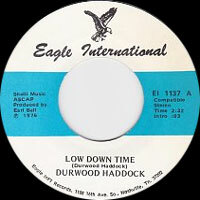 Haddock's deal with UA was only for one single, and rather than re-sign, he opted to start his own label, and he launched Eagle Records with his follow-up, "Our Big House." 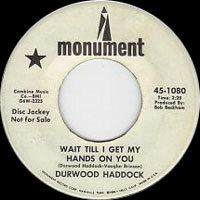 While Haddock enjoyed a handful of regional hits with Eagle, in 1966 he decided to give the big leagues another try, cutting several singles for Monument in 1966 and moving to Phoenix, AZ, to facilitate West Coast touring. 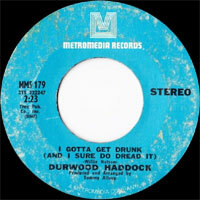 In 1968, Haddock pulled up stakes again, moving to Nashville, signing a record deal with Metromedia Records, and launching a publishing company. Haddock's publishing company enjoyed consistent success, and while he continued to record, his behind-the-scenes work began to overshadow his performing career and he gave up touring. 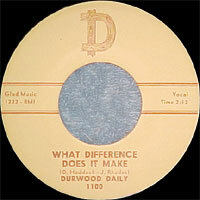 In 1970, he opened a successful booking agency, and in time expanded into record distribution and radio promotion. In 1992, Haddock moved his operations back to his native Texas, and in 1995 he relaunched his recording career with the album The Texas Honky-Tonk Blues. In 2005, Haddock released I Remember Jenny Lou Carson, a tribute to the noted country songwriter, and Honky Tonk Crazy (And Other Love Songs) followed in 2007. 197? 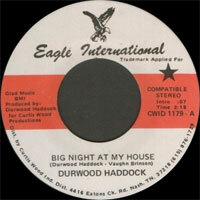 SP EAGLE INTERNATIONAL 1179 (US) Durwood HADDOCK - Big Night At My House / ?